Experts are not just more knowledgeable – new research suggests they actually think differently to the rest of us. A study of chess players in Japan has shown that the experts in playing the game use different parts of their brain compared with amateurs. It appears that experts use different thought processes – as well as having greater knowledge. What the study showed was that these different patterns of thinking meant that the experts were much more intuitive – able to instinctively know the right move without having to think about it. Online you can see this happening quite frequently. Some people simply “know” what to do in order to gain more traffic to their website or to get followers on Twitter, whereas others appear to agonise and never quite get it right. One possibility is that the people who cannot seem to succeed online are the ones thinking in non-expert ways. They, perhaps, are less intuitive. And that is borne out of one problem – lack of focus on the Internet itself. For many business owners the Internet is just a sideline. They set up a website – or get someone to do it for them – then sit back and hope. True they use the Internet themselves, searching on Google or sending emails, but in terms of actually using the technology for the betterment of their business, these people tend to rely on guesswork, rumour and faddism. They do not become experts. What this suggests is that the people doing really well with their online businesses are intuitively moving from opportunity to opportunity without much thought. They “know” what to do right online. According to this new research they are probably using different parts of their brain to work out what to do online than the rest of the world. It means that if you wish to succeed with your online business you need to do what these experts do – become an expert. It is no good sitting on the sidelines, tinkering with the Internet and then wondering why you do not succeed. The people who are truly successful online have made it their job to gain knowledge of all aspects of Internet marketing and sales. They have made it their business to understand the Internet, in depth. If you want to succeed online, you need to do the same. You need to become an Internet expert. 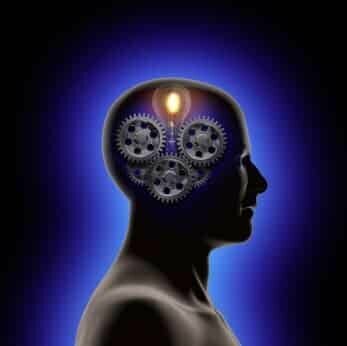 That will change the way your brain works, it seems, and make your thinking much more intuitive. No longer will you sit there wishing – instead you will instinctively know what to do next in order to succeed online. To become an expert you must not shy away from learning. And admitting you don't know everything. And have a passion to find out the latest thing. And putting your hard learned knowledge to the test by *doing* it: exploring it and putting it into practice. It's all very well acquiring this new stuff and then forgetting your notes by stuffing them into a draw and walking away. Make time in your diary to go through them, action them and then reap the benefits they will bring. Once perfected, launch it on your unsuspecting public (good luck with this) as long as you don't overload them with irrelevant and poorly-thought-through tactics.